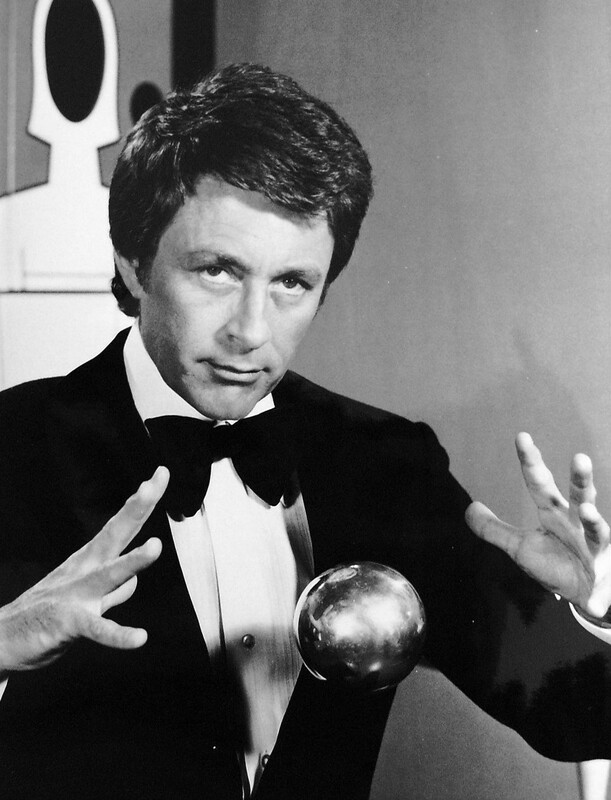 I recently wrote a post about Maxima Media. Their Facebook page about deer got a half-million Likes with no ad budget. 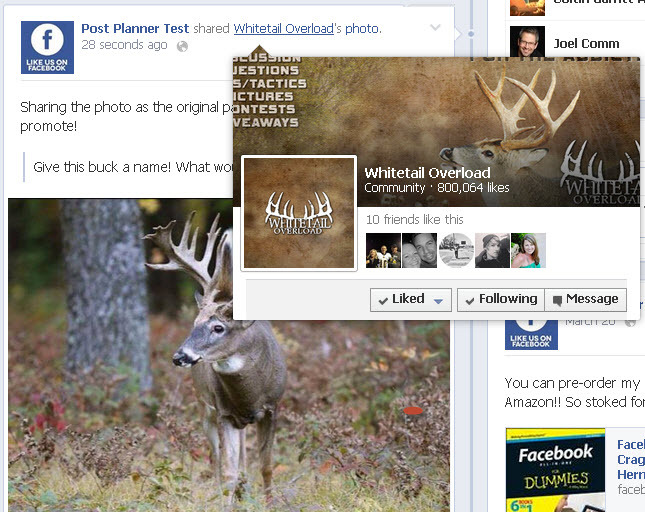 Today, over 816k people have Liked WhiteTail Overload! Pretty impressive for a page about deer hunting. 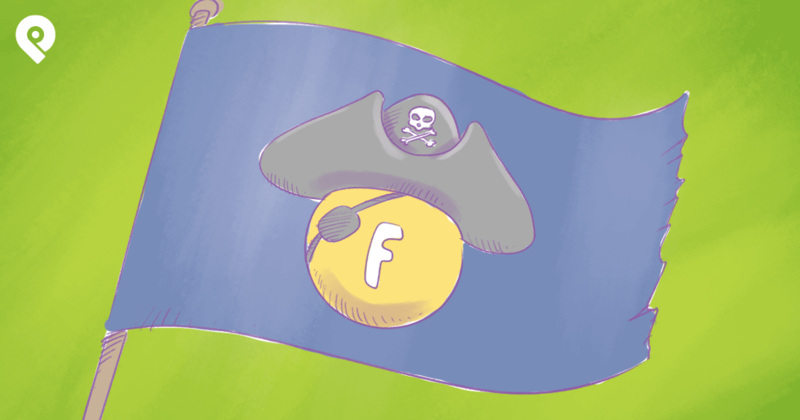 The key to the success of their page -- and pretty much any successful Facebook page -- was photos. 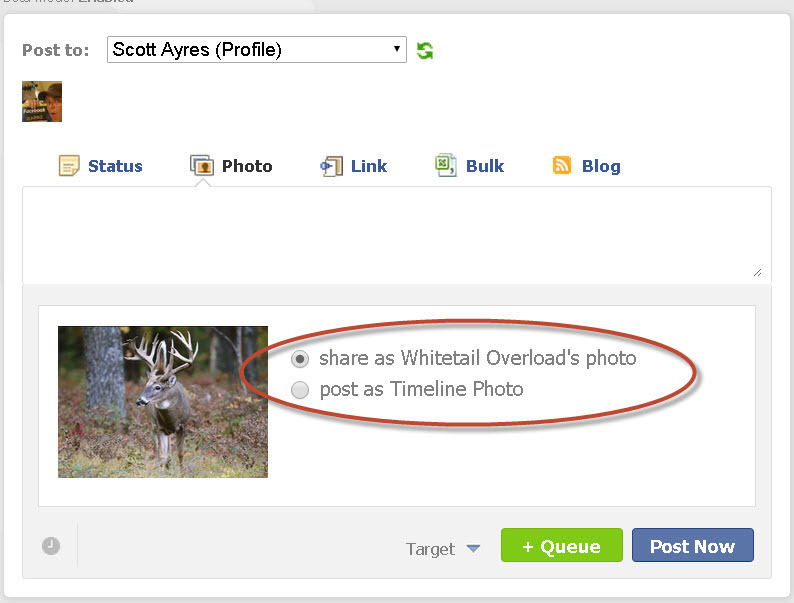 Photos get tons of visibility in the news feed -- so page owners should focus more on posting photos that drive fans nuts. Post Planner's new Viral Photos finder makes this super easy! 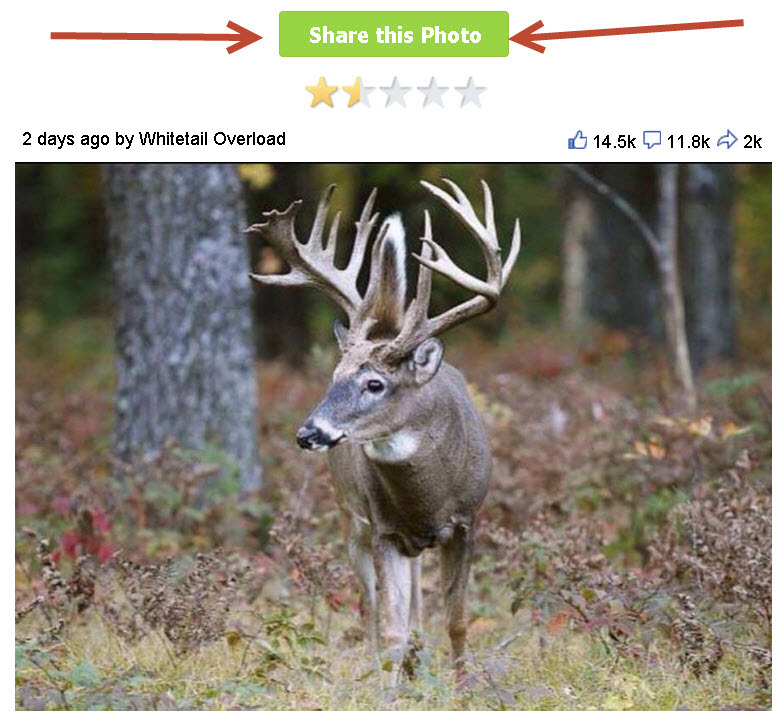 Partnering with other Facebook pages has been a huge part of Whitetail Overload's success. Maxima Media operates a slew of pages for companies in the outdoors niche. They focus primarily on hunting, which means their clients usually have hunting-related Facebook pages. Using those pages to promote each other was a major factor in the rapid growth of Whitetail Overload. For example, let's say I have a hunting page called "Scott's Surefire Hunting Tips". 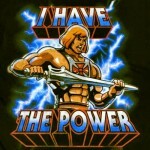 If Maxima takes me on as a client, they promise to get more exposure, engagement & Likes for my page. But instead of spending lots of money on Facebook ads, Maxima simply shares a photo or link from my page to their network of pages -- which has about 2 million fans. How do they find & share Viral Photos? Until now, sharing photos from one Facebook page to another has been a daunting task. But that hassle ended with the launch Post Planner's new Viral Photos finder. Have you used the Viral Photo finder yet? This tool is freakin' amazing! 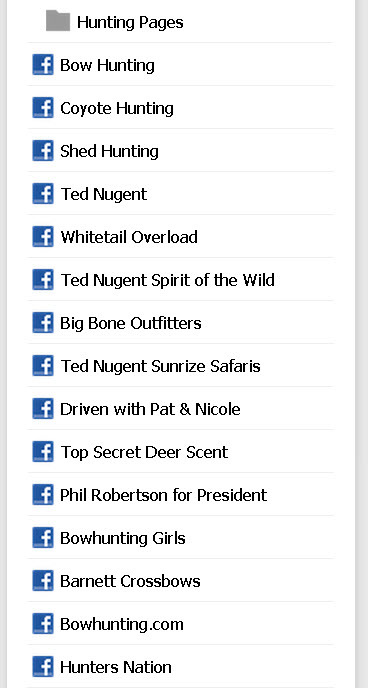 We spent months compiling FB pages into these folders so you'd have some great content to post right out of the gate. 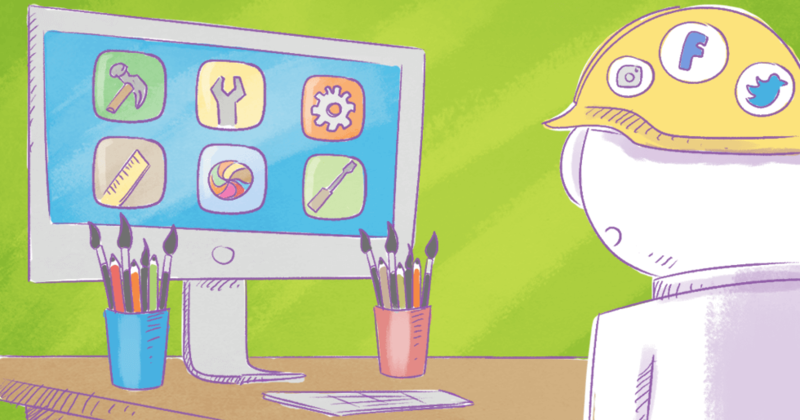 And what if you want to create your own folders? 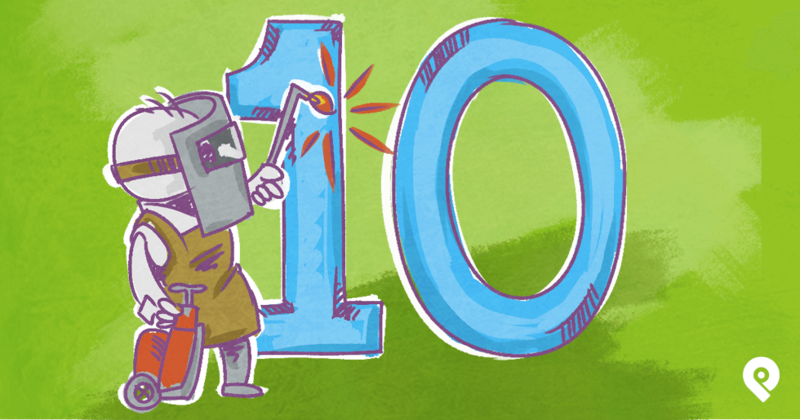 This is where it gets really fun for do-it-yourselfers & social media managers, alike! 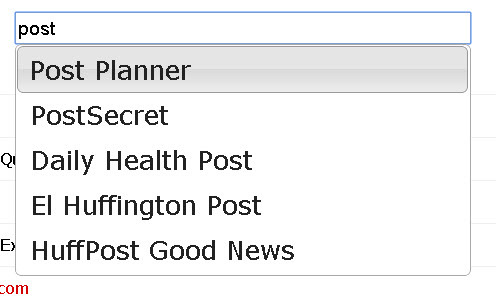 I already created a folder called "Hunting Pages", which contains most of the pages Maxima Media oversees. 2. Click "Add More Feeds"
You will be taken to the feed library -- which contains hundreds of pages & folders you can easily add to your app. The red arrow in the image above points to the box to either search for pages or add a fan page URL to the photo finder. 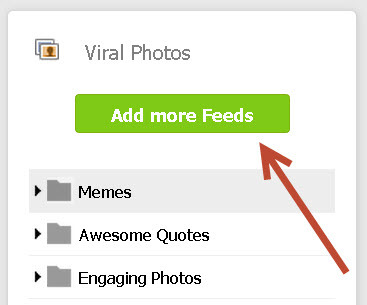 Now click "Add" and the page will be added to your Viral Photos feeds. If the feed library does not contain the page you want, just type in the page's URL & hit enter. The page will be added so you can view photos from the page & move the page into a folder. Now it's time to organize them into a folder. Just click on the name of the page & drag it into the folder. Now I can click the folder to see all the photos from these pages, or use the drop-down arrow next to the name of the folder to view the individual pages inside. Now that we've created a folder, I'll take a minute to show you how to use the photo finder to post amazing content on your Facebook pages. In the past, you had to go directly to one of your pages if you wanted to share a photo from it to a sister page you managed. Now to share a photo from Whitetail Overload to Bow Hunting, all I have to do is open the folder where the page is located & click Whitetail Overload. 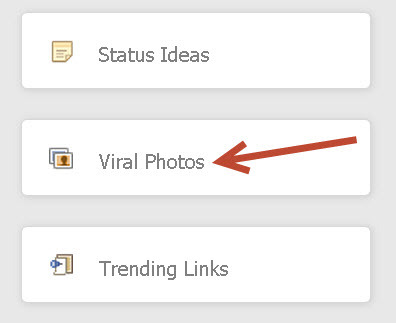 When I find a viral photo I want, I just click "Share this Photo". Since I'm trying to promote a page within a network of Facebook pages, I'll share the photo from the original source -- which in this case was Whitetail Overload. This provides a link to the original page so people can easily Like the page right from the post. Those who see the photo in their news feed can Like the original page or click the "photo" link to be taken to the original post. Instead of visiting every page in your network & manually sharing a photo, this tool lets you post photos to different pages. You can then return later to the Post Planner app to see what photos were most popular with fans. 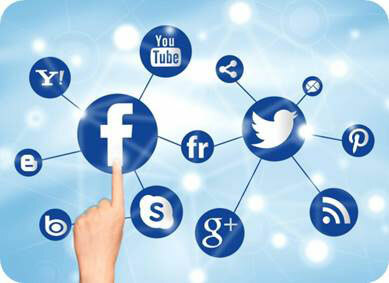 Then share the most viral pics on all your Facebook pages! 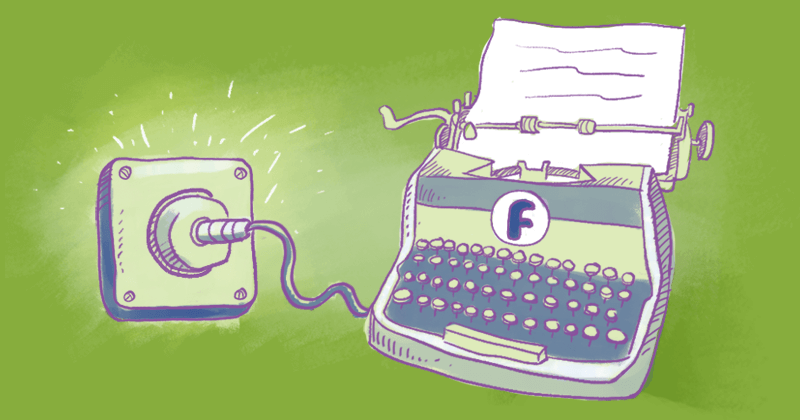 This type of sharing is great for promoting growing pages to a larger audience. It lets you reuse your best images without having to visit every page & forget which page you shared a photo to! Until now you haven't been able to schedule a shared post from another page. And you've never been able to share a photo to several pages all at once. 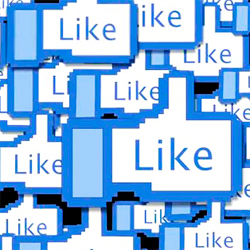 If you run a network of pages that complement each other, this will take your social media marketing to a new level. Gone is the hassle of having to manually share a post at just the right time. Gone are the days of having to remember what page to share a photo to & trying to guess which photos will get the most engagement. 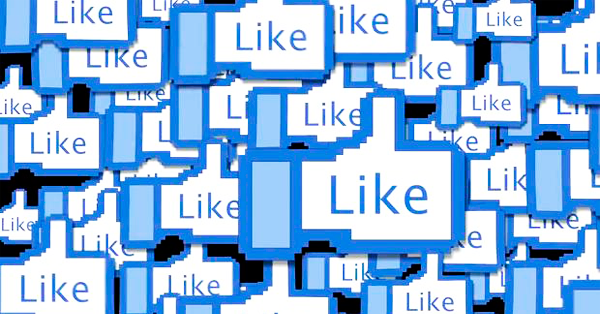 Social media marketers should be jumping for joy. Click HERE to connect to Post Planner if you aren't already sharing the most viral photos.